Gift Cards make the perfect gift! To order online, select the appropriate Amount from the drop-down menu above and click Add to Cart. You may add multiple Amounts to your cart to create a Gift Card in any amount. Gift Cards arrive in a gift envelope. Gift cards may be redeemed towards Museum admission, Tea in the Cafe des Beaux-Arts, or Museum Store items. Sales tax, standard shipping charges and Membership discounts do not apply. 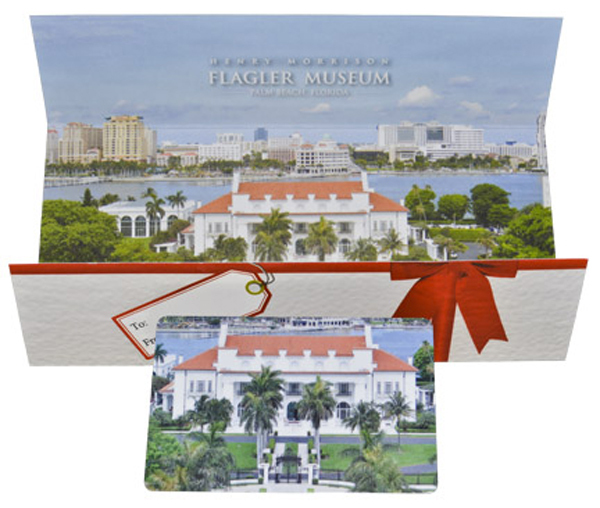 Call the Museum Store at 561-655-2833 x 21 for more information.